On Thursday, the presidents of Russia and Ukraine, Dmitry Medvedev and Viktor Yanukovich, signed a law on ratification of the Agreement to extend the Black Sea Fleet’s presence in Crimea after 2017 for another 25 years. The day before, on Wednesday, the Russian Federation Council (the country’s Upper Chamber of Parliament) approved the Black Sea Fleet agreement. The chamber was unanimous: all 132 legislators voted in favor of the document. On April 27, the agreement was also approved by Russia's State Duma and Ukraine's Verkhovnaya Rada. The Duma parliamentarians expressed their support for the deal with 410 votes. While in Kiev, despite opposition’s attempts to block the decision a total of 236 Ukrainian parliamentarians also supported this decision. Russian President Dmitry Medvedev believes Ukraine's ratification of the Black Sea Fleet agreement shows the supremacy of the country's strategic interests over emotion. He made the statement at a joint press conference with Norwegian Prime Minister Jens Stoltenberg in Oslo. “We have paid a lot for our fleet position on the territory of Crimea, but it is not a fantastic price. That is because we have strategic relations with Ukraine, with the government very close to our country,” announced Medvedev. Ukrainian opposition lawmakers have tried to block the deal to extend the lease of the naval base saying it betrays the country's national interests, a position that Russia's Prime Minister Vladimir Putin has found surprising. “I can see that quite a heated debate in the Rada (Ukrainian parliament) on the Russian fleet is coming up. I find it somewhat surprising, to be honest. Just recently I discussed the possibility of prolonging the Black Sea Fleet’s stay in the Crimea with the previous administration. At that time, and during negotiations before that, no one seemed to mind,” shared the Russian PM. “The only question was the price of the deal. The price we are now asked to pay is out of this world. I would be willing to eat Yanukovich and the prime minister for that sort of money. 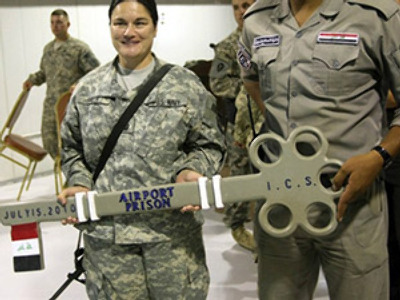 No military base in the world costs that much. Prices like that simply do not exist. If we look at what the contract would cost us over ten years, it amounts to forty to $40-45 billion,” Putin revealed. 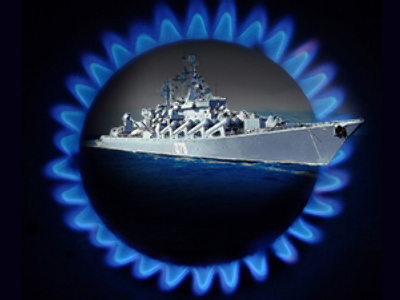 In his latest comments Viktor Yanukovich said that signing the agreements on the Black Sea Fleet and gas is in fact the first step in a global attempt to warm ties between Moscow and Kiev. He also touched upon another issue – the reasons for the 1930s famine in the USSR, which killed millions across the Soviet Union, but in Ukraine it has been officially regarded as a direct genocide of Ukrainians. Viktor Yanukovich said that the Holodomor [famine] in Ukraine cannot be regarded as genocide, a move much appreciated by Moscow. Now that the treaty has been ratified by both sides, Moscow and Kiev are preparing to make concrete steps to invest in Sevastopol. The Russian president has already ordered the Defense Ministry to put together a plan of investment. Russia’s Minister of Defense Anatoly Serdyukov has stated that the new agreement gives real opportunities to modernize the Black Sea Fleet and its infrastructure. “President Medvedev has ordered the setting up of a detailed plan of infrastructural development of Sevastopol, and of Crimea. This document suggests Russia and Ukraine will cooperate closely militarily,” he added. However, the cost seems to be too low for Ukraine's former Prime Minister Yulia Timoshenko who is taking her case to the Parliamentary Assembly of the Council of Europe. She says the agreement limits Ukraine's sovereignty, because it will lose the right to control part of its territory. Russian State Duma deputy Anatoly Korendyasev believes it is a fundamental event in bilateral relations between Russia and Ukraine of the last 20 years and the price for this should be considered on a broader level. According to recent opinion polls, 87.5% of the Crimea peninsula residents where Sevastopol is situated support the agreement signed by Russian President Dmitry Medvedev and Ukrainian President Viktor Yanukovich in Kharkov. Journalist, politician and former member of European Parliament Giulietto Chiesa believes the agreement brings neither military nor strategic change into equilibrium. The history of Sevastopol is intertwined with the port city’s huge naval tradition. It is home to part of the Russian naval fleet and has been since the city’s foundation nearly 300 years ago. However, after the break-up of the Soviet Union the Navy found itself in troubled waters. Sevastopol is on Ukrainian territory, which means the clock has been ticking on the Russian fleet's deployment there, which was due to end in 2017. 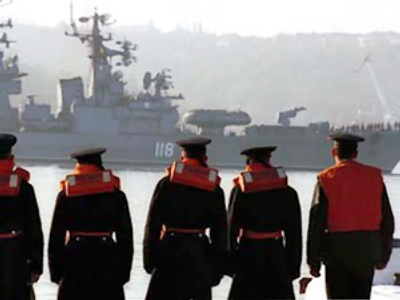 However, last week’s agreement between Moscow and Kiev extends the fleet’s stay by a further 25 years, to 2042. Many in the city have the Navy running through their veins, so the new scenario has been widely welcomed by the locals. “This is Sevastopol. The only place for the Black Sea Fleet to be! It has always been here, and needs to stay put,” local resident and former sailor Vladimir told RT. Local politicians are also happy because of the benefits the large naval presence brings. The Chairman of Sevastopol city council Valery Saratov shared that the prolonged agreement of deployment is going to the benefit the region financially. “As for all those who say it is somehow a threat to Ukraine – that is nonsense. There are plenty of other countries with foreign fleets in their ports. Plus, this fleet is part of our history,” he said. The Black Sea Fleet’s presence is huge, with around 50 vessels of all shapes and sizes and 25,000 personnel stationed in Sevastapol. Patrols, exercises and training sessions take place daily and while service personnel carried on with their tasks, for the thousands based there with their families, the uncertainty over their future was something all had to take on board. The agreement has brought relief for those who call this Ukrainian port home. “I think I speak for everyone when I say it is great news that the fleet will remain here. I was born in Sevastopol, and for me, to imagine it without the fleet is impossible. It is a symbol, for marines and civilians alike, of our shared history – and this is its rightful home,” stated Commander Ruslan Safiullin. Being soldiers first and foremost, Russian marines stationed in Sevastopol say that they will go wherever their country sends them, but until then, their home will remain as it has been for the past 300 years.